“Strawberries are one of our big spring crops; they last about four weeks,” Ebert explains. “I’m always interested to see that so many people with children wait until school’s over to come pick strawberries as a family. But by late June the season’s almost over, and I wish I could have told them to come here earlier to get the berries at their best.” Spreading the word about how best to enjoy the produce grown and sold at Springdale Farms is mission No. 1 for its dedicated staff. 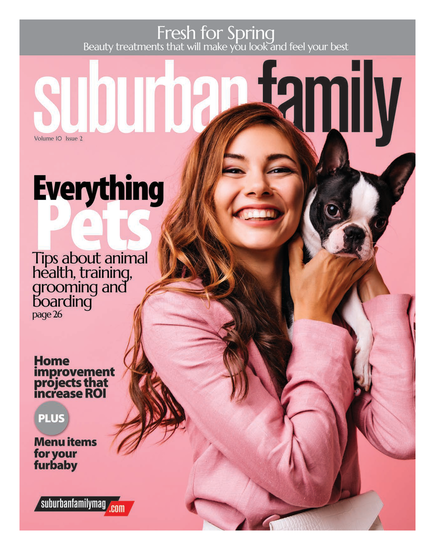 Springdale Farms has been a local institution since Ebert’s parents founded the business in 1949—at a time when Cherry Hill was awash with farms and Spring­dale Road, now a bustling artery across the developed suburb, was a one-lane dirt track. Ebert represents the second generation of his family to own and operate the farm, a task he shares with his sister and brother-in-law, MaryAnn and Tom Jarvis. “We’re the only working farm in Cherry Hill. We grow 35 different varieties of crops on 100 acres right here,” he says. After strawberry season, the next big push will be tomatoes: Six varieties of Jersey tomatoes are grown at Springdale Farms, and Ebert points out that Farmer Tom even oversees a third annual planting—rare among commercial growers—to ensure that the delectable summer staple remains available well into fall. Around July 4, corn season will be in full swing. We purposely plant a late crop, so the same delicious corn lasts way, way into October,” he adds. Primarily a vegetable farm—strawberries, blackberries and raspberries are the only fruits cultivated here—Springdale seasonally plants broccoli, cauliflower, eight varieties of eggplant, okra, green beans, lima beans, all kinds of peppers, six varieties of lettuce, cucumbers, cabbage, beets, scallions, spinach and pumpkins, along with the aforementioned tomatoes and corn. Intent on bringing as much fresh produce to its on-site market as possible, Ebert advocates double and triple cropping on Springdale’s 100 acres—essentially, planting a summer crop on the same patch of land where a spring crop has just been grown and harvested—a sight the public can see on one of the farm’s educational hayrides. “We’ll take people or school groups out to, say, a field of tomatoes, show them how we start and grow and harvest the crop,” he says. 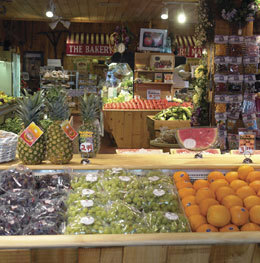 The garden center, home to a host of practical and unique gift items, is only one of Springdale’s many indoor spaces. At the market, there’s all that great produce, plus unexpected finds like local New Jersey wines. A trip to Springdale’s not done, though, until you follow your nose to the bakery, where apple cider donuts and some 60 different pies are baked up daily on-premises. “We’ve got so much going on, we’re always surprised when people stop in and say, ‘I had no idea what happens here. I thought it was just a garden center,’” Ebert says. Among the farm’s other activities are birthday hayrides and special evening events in the farm’s glass-enclosed Conservatory. An ongoing partnership with the Garden State Discovery Museum has led to events like an evening of stargazing with astronomers from the Franklin in Philadelphia, as well as an annual joint fall festival and corn maze. Springdale Farms also keeps close ties with local scouting groups and schools, opening its facilities to troops on a regular basis.